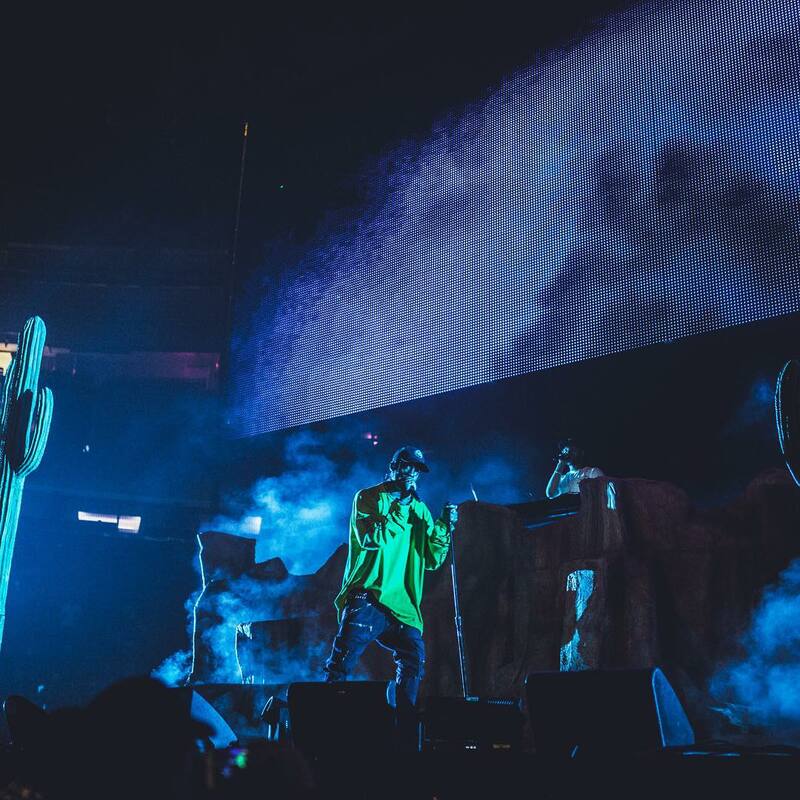 Although Travi$ Scott is on his latest tour, the “Fall Madness Tour,” with The Weeknd, that hasn’t stopped him from releasing hit records. Wednesday night at the Filmore in Maryland, Travi$ Scott took a break from the tour and had his own show. During his show, fans were in for a treat being the first to hear two unreleased tracks. Neither track has an official title for the songs, but they definitely sound like something you need to be on the lookout for. The first songs chorus goes like “left cheek/right cheek/ up top/ my suite/ don’t stop/ go girl/ long as you know/ who the one,” then he goes into spitting a quick sixteen. During this track, it sounds like Kanye may have had some vocals on it as well. Previous Rae’s Raves: Hello…It’s Me.